Primary school students are welcome in the primary library with a parent or adult guardian. Otherwise they should either be in an activity or on the bus home. Secondary school students are welcome in the secondary library for study or reading. When does each class visit the library each week? Primary classes visit once a week on a fixed borrowing schedule. Secondary classes do not have a fixed time; instead teachers bring classes as and when desired. Teachers can book specific spaces and times. When can students visit the library? Students are expected to use their respective library, while adults (teachers and parents) are free to use both. Primary school students can visit the library during Morning Break, Lunch Break, and Afternoon Break according to the schedule on the library door. Grades are assigned different days in rotation as the library can't hold everyone at once. Secondary school students can visit the library at any time. When can parents visit the library and borrow books? Parents are welcome to visit anytime, as long as they understand that during the day students and classes have a higher priority in terms of attention and service. Similarly, parents can borrow books, but if a class or teacher needs it, you may be asked to return it. NB: We do not want parents borrowing textbooks, as those are needed for students. Can parents volunteer in the library? We love help in the library and prefer one three-hour shift per week per volunteer. Contact Kurt Wittig and he will take your details. Primary school students have a physical library card that is stored in a rack next to the circulation desk. Find your card and bring it to the check-out desk. Secondary school students do not have a physical library card. Instead you just tell the library staff your student number or last name and they will look you up. If you have a barcode of your student number (e.g., on your laptop), that can also be scanned. Parents are welcome to borrow from both libraries. They are not issued physical cards, but may ask the librarians to set up an account for them. Primary school students may have up to 5 at a time, though if you want or need more, simply ask one of the librarians. Also note that if you do not return or renew books promptly, your limit may be reduced. Secondary school students may borrow as many as wanted or needed. How long can I keep a book for? Usually for two weeks, although you are welcome to renew your books as long as someone else is not waiting to read them. How can I check what books I have out? Students and teachers can log into the library system (online at http://catalog.uwcsea.edu.sg) using their regular UWCSEA id (e.g., smith12345) and password and go to the "My Info" tab. There you will see what is currently out under your name. Parents are automatically given a library account, but one can be easily created. Just come into the library and ask the staff. You will be asked to supply your name, telephone number, and email address -- as well as a user login/password for yourself. There are no fines on overdue books. NB: You will be sent periodic reminders of books you have out. Please check the list and make sure you know where all the books are. If you are not still using them, please return them. It is important to keep books circulating. If you are sitting on a book and not reading it, it means someone else can't read it. If someone requests a book you currently have out, we will contact you. If a book is lost or damaged, then you must pay for it or replace it. If you pay for the book, there is an administrative charge of $25 per book, plus 7% GST. This is imposed by the UWCSEA Finance Office and has nothing to do with the library. If the book turns up later, the money you paid cannot be refunded, but you own the found book. If you replace the book, there is no administrative charge. It is the most cost-effective and efficient means of replacing a lost book. Come and see the librarians and we will help you find vendors. For example, here in Singapore there is Kinokuniya (see their online catalog here). Several online vendors do not charge shipping, so a book can be bought and sent directly to us, e.g. Book Depository and Fishpond. NB: We do not consider a book definitely "lost" until we have checked the shelves (just in case the book was returned without passing through the automated library system). Books often show up. So we are patient about declaring them "lost". If, however, you are leaving UWCSEA, then all accounts must be settled before departure. Infant students may return library books in the Book Return box in the downstairs reception area of the Infant building. Primary school students can place books in the "Return Books" slot on the front of the Circulation Desk. Secondary school students may return library books in the Book Return box outside the front door. Can we borrow books over school holidays? Yes, books may definitely be kept over the half-term and term break holidays -- from August to June. If you have a clear library record (meaning you have returned all overdue books and paid for any lost ones), you may also borrow books over the long June/July/August break. During the summer we are usually open one day a week for two hours for book exchange (i.e., returning books and selecting new ones). Are there summer reading lists? Yes, reading over the summer is strongly encouraged. 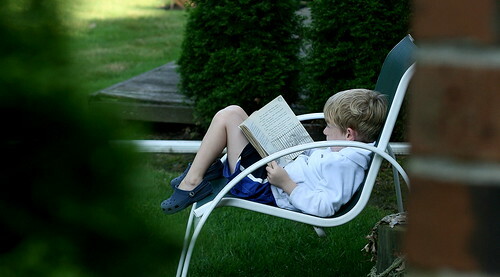 See the Primary School Library blog post, "What are you going to read over the summer holiday?" For secondary school suggestions, see the library guide to "Summer Reading". How can I search for books in the library catalog? Is there a mobile app? The catalog is online at catalog.uwcsea.edu.sg . You can opt to search one or all of the four UWCSEA catalogs. Destiny is the name of the library software we use. It is made by a company called Follett. The library catalog (OPAC) is often referred to as "the Destiny system". Destiny Quest is the name of the interface which has a social software component similar to Facebook, where you have "friends" and can recommend books to them. There is a mobile app called Destiny Quest - available in both the iTunes and the Android/Google Play app stores. If you download it, you will need to specify our catalog's online URL the first time you use it: http://catalog.uwcsea.edu.sg . You can explore the catalog as a "guest", though students can also log in using their regular UWCSEA id (e.g., smith12345) and password. Parent accounts are not automatically created (the way student ones are), so you must create a login/password for yourself before you can check your account online. See the library staff to do so. If I find a book in another UWCSEA catalog, e.g., in the East Secondary Library, can you get it for me? Yes, we do inter-library loans within UWCSEA. Simply tell us what book from the East campus you want and we will get it for you. Note: the loan period may differ from ours, but all that information will be given to you at the time of the loan. If I find a book in the Singapore National Library (NLB) catalog, can you get it for me? Unfortunately, we cannot retrieve books for individuals with our school NLB account. We encourage you to get your own NLB card. Foreigners are allowed to get local library cards. Find more information here on the NLB website. Where do I put a book if I don't remember what shelf I found it on and I don't want to borrow it? There are "re-shelving" trolleys in each library for books that need to be put back on shelves. Feel free to leave any books there and we will re-shelve them. Kinokuniya -- located in Takashimaya shopping center on Orchard Road-- is the biggest bookstore in Singapore. One of the best online tools to help you find books is OO.SG -- yes, http://oo.sg . It shows you price comparisons of books, not only from Kinokuniya locally, but also from two online vendors with free shipping: Book Depository and one called Fishpond. Can I suggest books for the library to buy? All suggestions are welcome! Click here to fill out our resource recommendation form. What databases do we have access to? Go to www.uwcea.edu.sg/links for a list of all the digital subscriptions -- including logins and passwords -- available to our community. What online tools do you recommend for keeping track of information sources as I find them? For tracking your research, see this introduction to Diigo, a social bookmarking tool -- or, if you want a more academic tool, see this introduction to EasyBib - which is also free and social. What ebooks and video books do we have access to? What referencing style do we use for bibliographies? What online tools do we have to help produce bibliographies? The MLA (Modern Language Association) is the default referencing style used at UWCSEA. See MLA: Referencing & Bibliographies - especially this slideshow of examples of both inline citations & works cited. At the IB Diploma level, departments may choose a referencing style other than MLA. For example, the History Dept. uses Chicago (footnoting), while the Psychology Dept. uses APA (American Psychological Association). Your teacher will tell you which one to use. The school uses EasyBib, an online referencing tool, which integrates with our use of Google Docs. We subscribe to the premium version, which provides a note-taking tool plus other features to help students with research projects. For information about how to activate the premium version, see the introductory tutorial at http://research.uwcsea.edu.sg/easybib . I'm doing my IB Diploma Extended Essay. Where can I find all the relevant information? Where can I find a quiet place to study in the library? In the secondary library there is a quiet study area and there is "the quiet". These are reserved for high school students (grades 9-12). Yes, we have an active Read & Recycle service activity that accepts all donations and distributes them appropriately throughout the community. See Read & Recycle. How do you select books for the library? Our collection development policy is based upon the mission statement and values of the college, as well as the curriculum standards and benchmarks. A more detailed explanation of this is under development.